Earlier this week, we had reported how Facebook has decided to block adblockers so that advertisers can display their advertisements seamlessly on their platform. We had assumed that in the fight between advertisements and adblockers, the former has gained an upper hand. Within 48 hours of Facebook’s announcement regarding their fight against adblockers, they have been beaten hands down. Adblock Plus, which is the leading the crusade against advertisements has announced a workaround which blocks all Facebook ads on desktops. 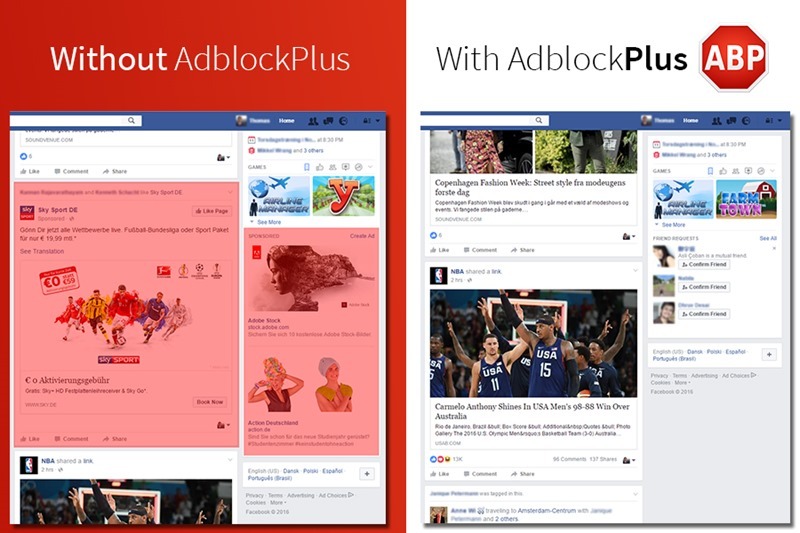 In short, Adblock Plus has restored the status quo when it comes to blocking of advertisements on Facebook’s platform. Apparently, the open source community has added a new filter to the EasyList, which informs Adblock Plus about the ads which should be blocked on their browsers. This new filter is able to identify Facebook’s advertisements, and subsequently block them as per the user’s request. Adblock Plus is suggesting their users to update their EasyList filters in order to activate this anti-advertisement mechanism and has even shared the code to manually add that. Adblock Plus has also warned their users that Facebook may soon find out another way to block this latest mechanism adapted by the open-source community to block ads. They said that Facebook may ‘re-circumvent anytime’ and this cat-and-mouse game may continue infinitely. If companies like Adblock Plus is backed by open source community, then Facebook has an army of coders and developers who can introduce newer mechanisms to showcase advertisements. Instead of such cat-and-mouse games which has ultimately no answers, it is high time that the publishing companies and advertisers think of devising some methodology or code of conduct which doesn’t drive readers away from advertisements; besides introducing a brand new way of monetization which doesn’t interfere with the reader’s experience. On the same hand, the readers should understand the fact that if they are ok with TV advertisements, which are actually irritating and disrupting in nature, why do they have issues with humble ads which are thrown around the content. Online publishing takes time & resources to develop and besides subscription based model, there is no immediate alternative to advertisements. We will keep you updated as news come in regarding this interesting battle which is refusing to end. "Adblock Plus Defeats Facebook Within 48 Hours; Discovers Workaround To Block Desktop Ads", 5 out of 5 based on 10 ratings.